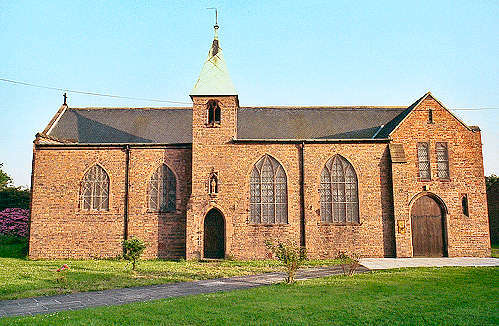 Sandycroft is a constituent church in the Rectorial Benefice of Hawarden - it is not a separate parish. The church of St. Francis was dedicated and opened for worship on Saturday, 20 December 1913, replacing the school-chapel of St. Ambrose, which had been in use since 1875. The church was not completed until 1935, and was consecrated by the Bishop of St. Asaph on Wednesday, 10th July 1935. For family history information about the church, visit the GenUKI Sandycroft page.